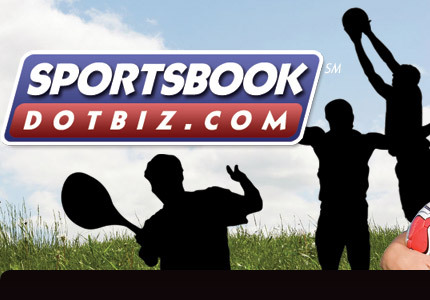 A recent evolution of online sportsbooks is betting exchanges. The term betting exchange is used to describe a form of bookmaking in which the operator offsets its risk perfectly through technology, such that the effect to the customer is that customers are seen to bet between themselves. Coined because of its apparent similarities to a stock exchange - it is often defined as "a stock exchange for bets" - it is therefore commonly seen as a peer-to-peer betting website, when in fact it is more closely described as "many-to-many" (i.e. very few bets are actually just one person on one side and one on the other). Equally, it is often suggested, or commonly believed, that the operator is merely acting as a broker between parties for the placement of bets, rather than a bookmaker, although the reality is that bets are being accepted and offered simultaneously through technology, and the legal contract for the bet is with the operator itself and not between customers. Most betting on a betting exchange has been a form of fixed odds gambling, although recently the phenomenon has also been established in the spread betting markets. As with other types of exchanges, betting exchanges thrive on liquidity and customers tend to focus on the exchange where they are confident their bet can be paired up with a matching counterbet. Breaking with British tradition, Betfair uses decimal odds instead of fractional (traditional) odds because they are more popular globally. Some of its competitors allow customers to use fractional odds if they prefer. Most exchanges make their money by charging a commission which is calculated as a percentage of net winnings for each customer on each event, or market. Gamblers whose betting activities have traditionally been restricted by bookmakers (normally for winning too much money) have found these sites a boon since they are now able to place bets of a size unrestricted by the exchange - the only restriction is that one or more opposing customers need to be willing to match their bets. Moreover, the odds available on a betting exchange are usually better than those offered by bookmakers, in spite of the commission charged, because the middle man is eliminated. Exchanges currently have some limitations. Exchanges are not currently suited to unrestricted multiple parlay betting. Betfair does offer accumulators but these are limited in number and type: Users cannot determine the outcomes contained in accumulators themselves. Exchanges also tend to restrict the odds that can be offered to between 1.01 (100 to 1 on i.e. 1 to 100) and 1000 (999 to 1). The concept of peer-to-peer betting - the precursor to a betting exchange - was first brought to the public by the UK website Flutter.com in May 2000. At the same time Irish-based betting exchange Betmart.com was launched into the UK. Soon after, UK-based Betfair launched what it originally called "open-market betting", in June 2000 - a name which was quickly changed, by the media and the associated industry, to "betting exchange". Betfair embraced a pure exchange model - one Flutter later adopted and, some say, even improved upon in places - but it took a year before Flutter launched their new technology, and first-mover advantage proved decisive for Betfair. Though Flutter managed to climb to a reported 30% market share, Flutter's backers were content to broker a merger which left Betfair the dominant partner by a reported ratio of 84:16. Post merger, Flutter's customers were transferred to Betfair's system, which was later upgraded to embrace some of Flutter's functionality. Betfair went from strength to strength and controls a reported 90% of global exchange activity today. In late 2004, Betfair announced a rescue package which resulted in it absorbing the customers of Sporting Options, which had gone into administration with debts in excess of £5 million. Unsurprisingly, Betfair's success has attracted a number of rivals, including Betsson and BETDAQ.